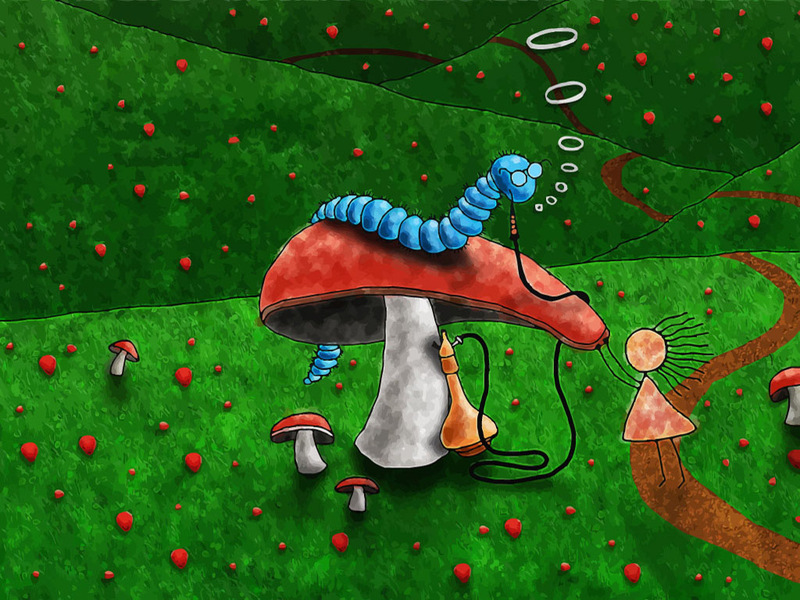 Cool vector wallpaper of magic mushroom with caterpillar smoking from a bong. Beautiful landscape backdrop vector illustration in wallpaper format. Visit FreeVector.com wallpaper gallery to view and download original nature graphic wallpapers as 1024x768 resolution JPG, AI, EPS, SVG and PDF. All images are copyright of the respective owners.